Integrated 16” capacitive touchscreen with FitTouch Technology for intuitive performance. Custom app interface designed specifically for fitness offers users easy access to social media and web content. WiFi connectivity for use with app interface and integrated Matrix Asset Management system. Custom interface configuration for personalized communication with users. There are far far too numerous cardio machines out there demanding that consumers adapt to their certain movements. 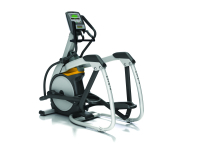 Matrix Fitness Equipment is distinct. And far better. There is no wrong way to use it. Our devices present a at ease and effective workout no issue what placement you’re in. But do not let its simplicity fool you. These machines are not an effortless way out. Vista Clear™ Television Technology – the most vibrant picture quality in the industry. Compatible with Nike + iPod for the Gym for simple workout tracking. Compatible with iPod for video and audio playback, charging, and on-screen playlist selection. There are far too many cardio machines out there demanding that users adapt to their specific movements. Matrix equipment is different. And better. There is no wrong way to use it. 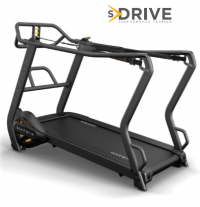 Our machines provide a comfortable and effective workout no matter what position you’re in. But don’t let its simplicity fool you. These machines are not an easy way out. Self-powered System. Variable Incline, Removable Disk. Constant Rate of Acceleration. Contoured Handle Bars.